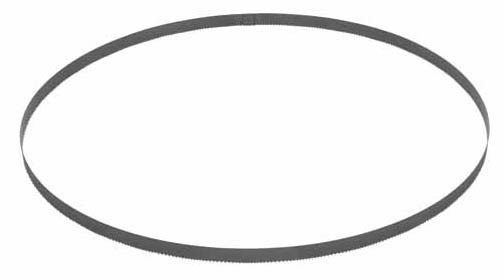 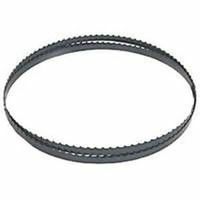 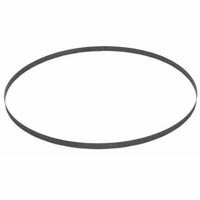 BAND SAW BLADE Carbon steel blade For fine scroll cutting in plywood-thin veneer- plastics and compositions For all makes of band saws 31142 59-1/2 IN. 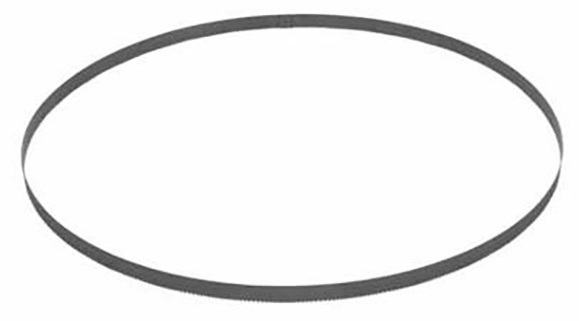 SCRL BNDSW BLADE SIZE:59-1/2 x 1/8" TPI:15 -.012 ga. 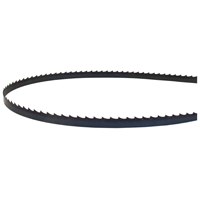 COMPACT PORTABLE BAND SAW BLADES Matrix II high-speed steel teeth for excellent- durability that excels in metal cutting jobs Alloy backing steel extends blade life 35-3/8" length x 1/2" width x .020" thickness 10 TPI for cutting material 5/16" to 1/2" thick 14 TPI for cutting material 3/16" to 5/16" thick 18 TPI for cutting material 5/32" to 3/16" thick 24 TPI for cutting material up to 5/32" thick 48-39-0508 35-3/8 10T BLADE SIZE:10 TPI LENGTH:35-3/8"
COMPACT PORTABLE BAND SAW BLADES Matrix II high-speed steel teeth for excellent- durability that excels in metal cutting jobs Alloy backing steel extends blade life 35-3/8" length x 1/2" width x .020" thickness 10 TPI for cutting material 5/16" to 1/2" thick 14 TPI for cutting material 3/16" to 5/16" thick 18 TPI for cutting material 5/32" to 3/16" thick 24 TPI for cutting material up to 5/32" thick 48-39-0518 35-3/8 14T BLADE SIZE:14 TPI LENGTH:35-3/8"
COMPACT PORTABLE BAND SAW BLADES Matrix II high-speed steel teeth for excellent- durability that excels in metal cutting jobs Alloy backing steel extends blade life 35-3/8" length x 1/2" width x .020" thickness 10 TPI for cutting material 5/16" to 1/2" thick 14 TPI for cutting material 3/16" to 5/16" thick 18 TPI for cutting material 5/32" to 3/16" thick 24 TPI for cutting material up to 5/32" thick 48-39-0538 35-3/8 24T BLADE SIZE:24 TPI LENGTH:35-3/8"
Bimetal Bandsaw Blade. 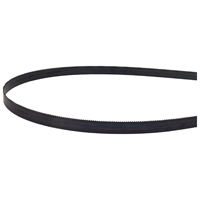 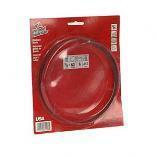 Portaband Blade 1/2X020X10/14X44 7/8 5-Pack. 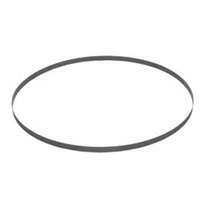 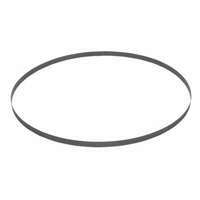 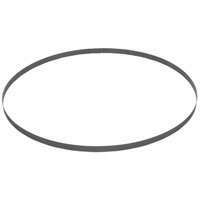 Manufactured by: Milford, a JH Williams Company..
Bimetal Bandsaw Blade. 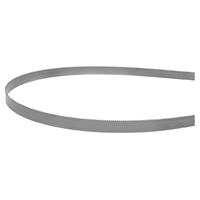 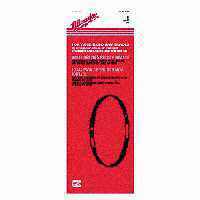 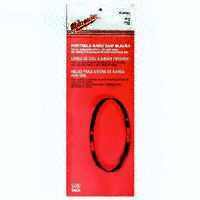 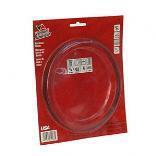 Portaband Blade 1/2X020X14/18X44 7/8 5-Pack. 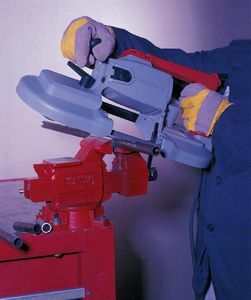 Manufactured by: Milford, a JH Williams Company..